With Readly you can read How It Works Book Of Volcanoes and Earthquakes and thousands of other magazines on your tablet and smartphone. Get access to all with just one subscription. New releases and back issues – all included. 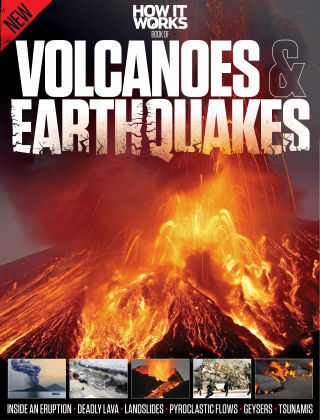 In this book, we take a detailed look at two of nature’s most powerful forces; volcanoes and earthquakes. Explaining how and why they occur, you’ll discover how they affect our lives, and how they shape our landscape. Packed with illustrations and incredible images of the damage they can do, you’ll also find case studies from Etna and Vesuvius to Christchurch and Haiti. So read on to learn more about the deadly power of the natural world. Featuring: Understanding volcanoes - Silent but deadly, see how volcanoes can unleash a power like no other. The power of earthquakes - Discover why the ground can shake, split and how cities are destroyed in seconds. Incredible case studies - From Mount St Helens and Vesuvius to Haiti and Christchurch, a look at how volcanoes and earthquakes can wreak havoc. Amazing images - Packed with detailed illustrations and powerful pictures to bring these subjects to life.